Sandvik Coromant, a leading milling and drilling manufacturer, was preparing to exhibit at its key tradeshow for the year. The marketing team had designed an interactive and informative booth dubbed the Smart Hub. 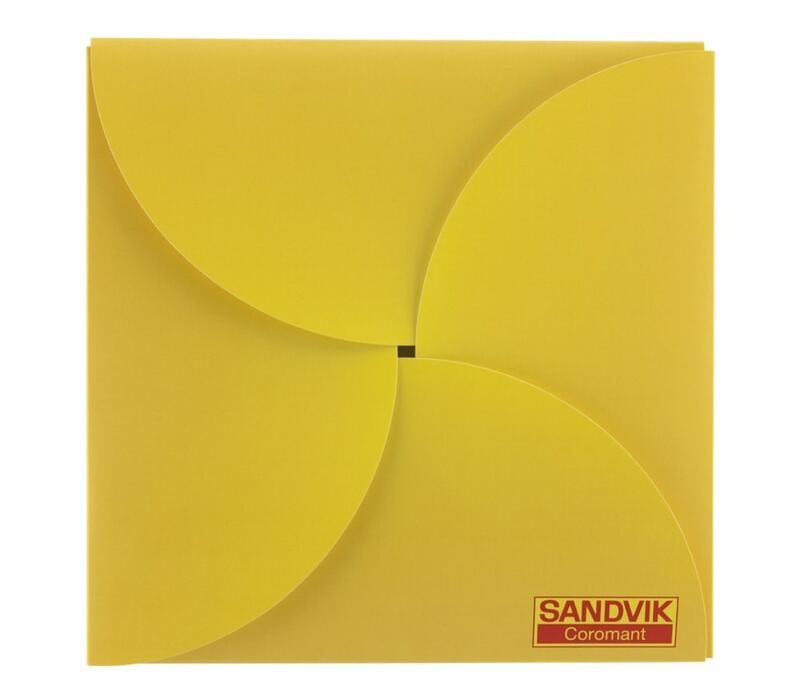 Sandvik had scheduled daily seminars for its top customers and needed creative communication tools to bring people to the booth. Sandvik turned to Americhip to create two innovative programs to ensure heavy foot traffic each day. First, using our proprietary Water Reveal technology, Sandvik created a unique ad for a leading trade magazine. 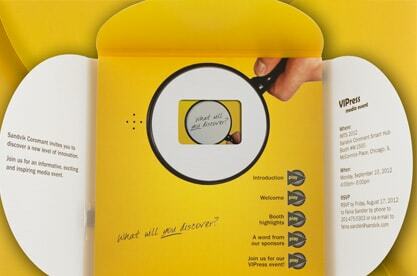 The ad featured an image of a magnifying glass to play off the brands motto 'your success in focus.' Recipients were invited to apply water to the magnifying glass to reveal a special prize waiting for them at the tradeshow booth. 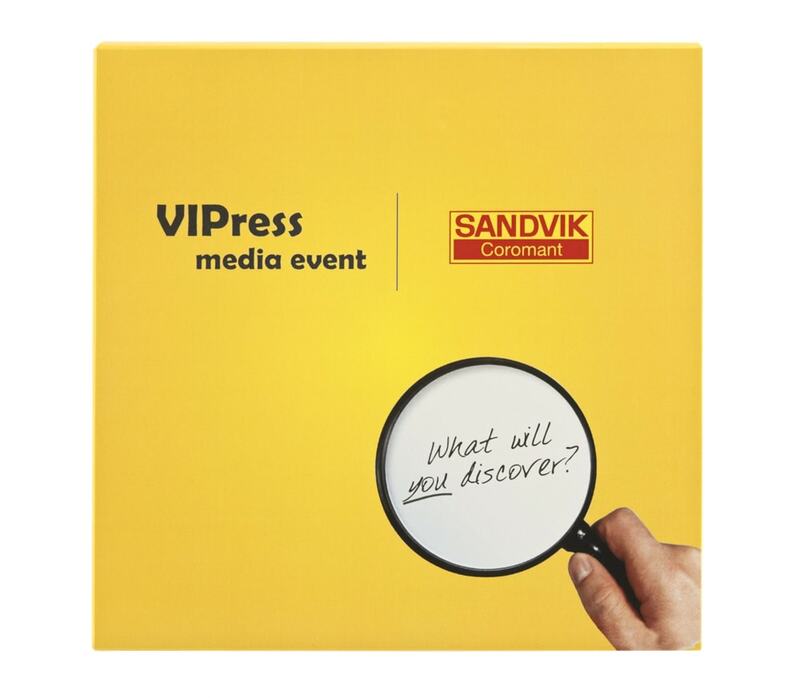 Next, Sandvik worked with Americhip to create an innovative Video in Print® direct mailer to generate buzz among key media members. 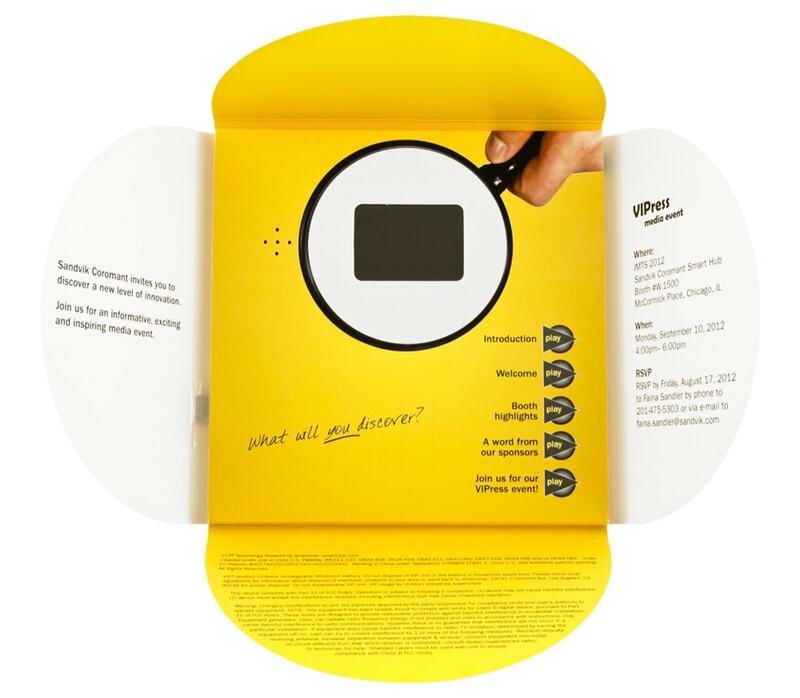 RSVP information was printed on the petals that opened to reveal the video, while five chapter buttons detailed key product and service highlights.